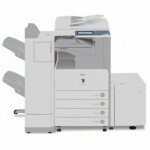 We’ve been providing high quality new, used, and refurbished copiers to our customers for years. We support most major brands from Brother to Xerox – including Canon, HP, Konica and everything in between! Whether you need trade in your old Canon copier and look at replacing it, or if you want to add a new HP copier lease to your office – we are here to serve you! Let our experienced and knowledgeable copier sales experts help! We’ll work with you to cut through the typical copier sales lingo, and identify what key features you really need. We’ve also got you covered for copier service, too. Our trained technicians will provide you with prompt, professional service. From one copier to an entire fleet, our copier service programs and maintenance agreements are customizable to fit your exacting needs. Backed by our expert team of service technicians and top quality maintenance parts, your new copier will be in good hands for years to come! Lets get started and find your new copier today!